Fees include electricity and access to free wine and beer tasting! For more information, visit their website or contact their event coordinator at jh@dallashandmade.com. 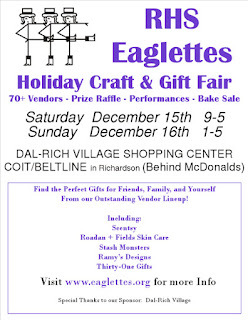 "Finish your Christmas shopping at the Eaglette Holiday Craft & Gift Fair! Over 70 vendors offering unique items so you can find the perfect gift for yourself or someone special!" "Rahr & Sons Brewing Company is holding its 4th annual Art for a Cause event during the tour and tasting on Wednesday. 30 local art vendors will be selling unique works of art and donating part of their proceeds that evening to the Ronald McDonald House charity." Admission is $10 for the tour, tasting, and shopping! "Entrepreneurial women are joining forces! Are YOU in? DFW's Inner Beauty Conscientious Entrepreneurial and Small Business Owner women are becoming the faces of the Real Beauty Inside Out Campaign AND taking advantage of a by invitation only opportunity to join Influential Women of Dallas for a powerful year-end. This elegant empowerment event offers networking, shopping, and a powerful keynote speaker featuring Dr. Williams and her Courageous Texas Child Bride Memoir. Dr. Williams' Texas story about, at the age of 14, being picked up from high school by her mother, carried to JP court, and, married off to a 26 year old man from Germany is jaw dropping yet inspirational. She will electrify the room with her true child bride memoir." Admission is $35 (proceeds benefit Real Beauty Inside Out for mother and teen daughter healthy relationships). "A special evening at Park Glen Elementary with a visit from Santa, choir concert, musical entertainment, and holiday craft show! Join us for free photo opportunities with Santa, hot cocoa, door prizes and much more." "Craft Fair at Lola's saloon. We will have a chili cookoff, a bake sale, and live music." "Please join us for an amazing evening of Mix & Mingle as we bring the area's Small Business Owners & Professionals together for the latest installment of the MMSBNE monthly mixer. The Small Business Networking Events presents a Business Showcase. These are new and established businesses that will present ""What We Do"". If you've never been, Buttons has great food, great ambiance and live entertainment. Join us for an evening of networking, a great atmosphere and lots of fun. Don't Miss Out!" 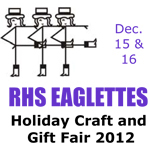 "This is the 5th Annual Countdown to Christmas craft show. Last good weekend to shop before Christmas! ADMISSION IS FREE!" "Get it right! Get it tight! Get a man? Ladies Luncheon and last minute Christmas shopping!" Registration is required for meals, deadline is December 8th, 2012. "Holiday Gifts, Home Decor, Clothing, Food, Jewelry, Toys and More. Plus Holiday Pictures. Come check us out. Support local vendors." "An indoor market where local artists, crafters, and designers sell unique, handmade items every weekend! Avoid the weather and shop indoors with 50+ rotating artists plus enjoy local live music performances. This Sunday come sip mimosas and enjoy the sounds of a live jazz vocalist while you browse cool handmade items and meet the artists themselves. " Applications are available here (please review Rules and Regulations) and are due 2 weeks prior to the event (December 31st, 2012 in this case). 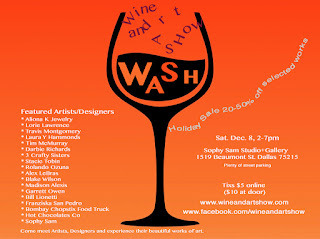 For more information, visit their website or contact their event coordinator at wash@wineandartshow.com. Booths are 6 X 6 and cost $15. Electricity is available upon request. To apply, please email their event coordinator at info@wocaprojects.com by December 19th, 2012. For more information, visit their website or contact their event coordinator, Kelly, at theworkroom.fortworth@gmail.com / (682) 553-3523. You may also contact Lauren at info@wocaprojects.com / (817) 901-7135. "1000's of Handcrafted Items! Hourly Door Prizes! Benefiting SHS Business Professionals of America." Interstate 35 exit 478, 10 miles north of Denton, turn east. Admission is $1.00 OR get in free with 2 canned food items! 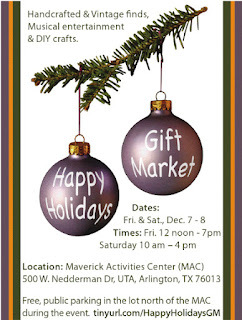 "Gifts galore await at Happy Holidays Gift Market, brought to you by 817ArtsAlliance LLC. Vendors come from a variety of backgrounds but they all share an enthusiasm for what they create and collect. Some of them have online shops and some have their work in local brick and mortar shops, but for these two days you can see them all in one place. 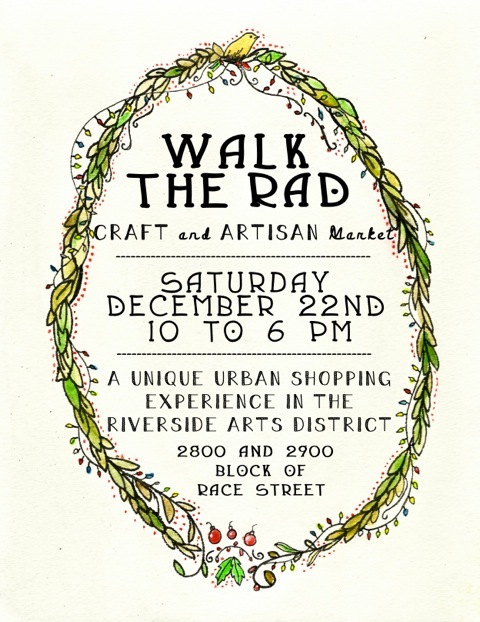 In addition to fabulous shopping, Happy Holidays Gift Market will feature live music from local musicians and two craft make and take tables. Ample free parking is available adjacent to the MAC on the north side of the building. Access Happy Holidays through the doors near the NW corner of the building, right outside the market or through the MAC’s front doors and follow the arrow signs. This family friendly free indoor event is wheelchair and stroller accessible." "Come out for great Christmas shopping with over 50 Vendors!! This market benefits the 'Children’s Wing Building Fund.' Free door prizes and free admission!" "This is not your typical Christmas market. This is an artist-forward show that features fine art created by local painters, photographers and jewelry designers in a gallery setting. Yet all prices here are within the reach. Your reach of beautiful and unique pieces of art. 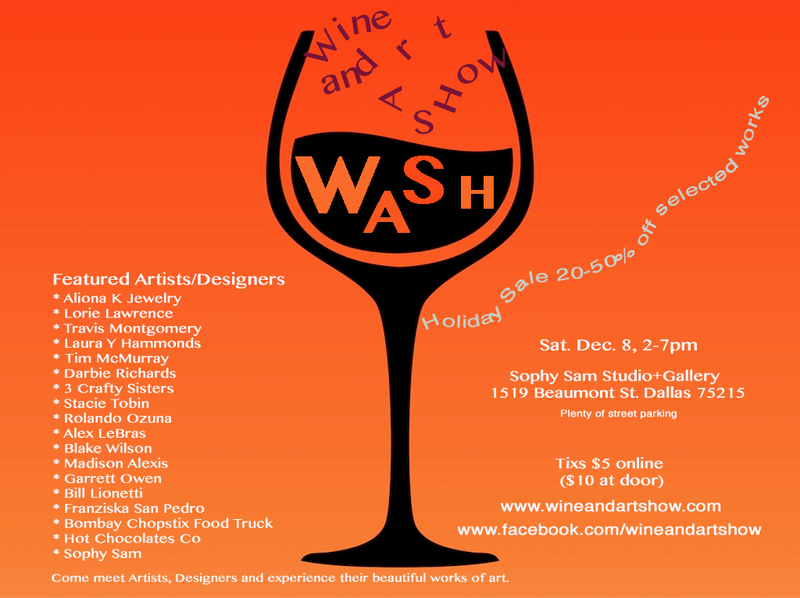 We also have food, complementary wine, live music, silent auctions, and artist reception. Visit us to learn why our customers come back to us every month." Admission is $5 online or $10 at the door. "Indoor/outdoor craft show, all kinds of vendors welcome." This fee includes a lunch coupon. Applications are available here as PDF / DOC and are due by March 7th, 2013.